Sixteen years ago, the course of American history changed. Terrorists carried out four coordinated terror attacks killing 2,997 people, injuring over 6,000 people and leaving an indelible scar on people the world over. In the wake of the attack, the families of victims inaugurated a small museum on Liberty Street, Manhattan, called the 9/11 Tribute Center. 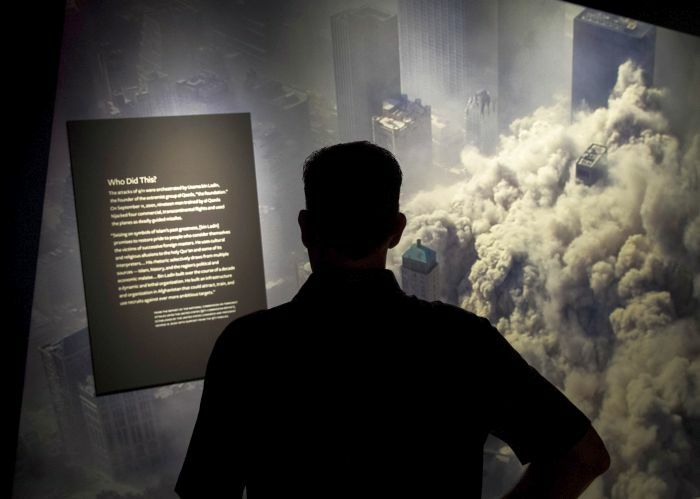 In June of this year, the museum needing more space to redesign their exhibition after years of reflection reopened their museum at 92 Greenwich Street, now as a full and proper ‘9/11 Tribute Museum’. 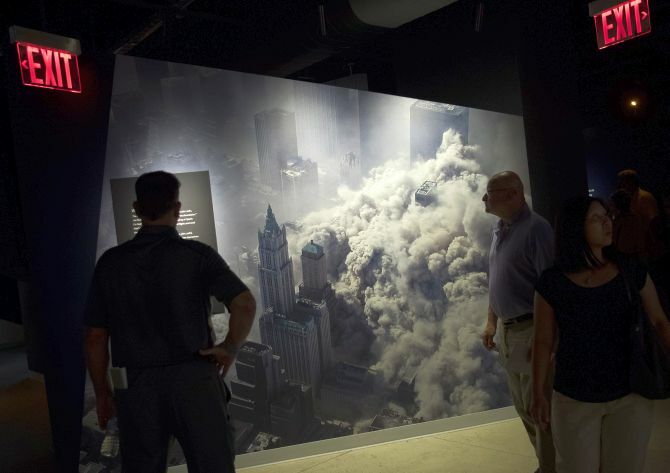 Visitors tour the new 9/11 Tribute Museum. 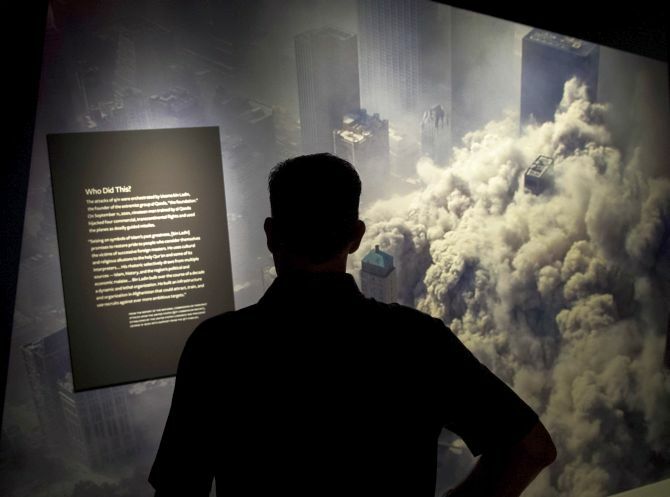 The museum shares the personal stories of those directly impacted by the September 11, 2001 terrorist attacks on the World Trade Center. 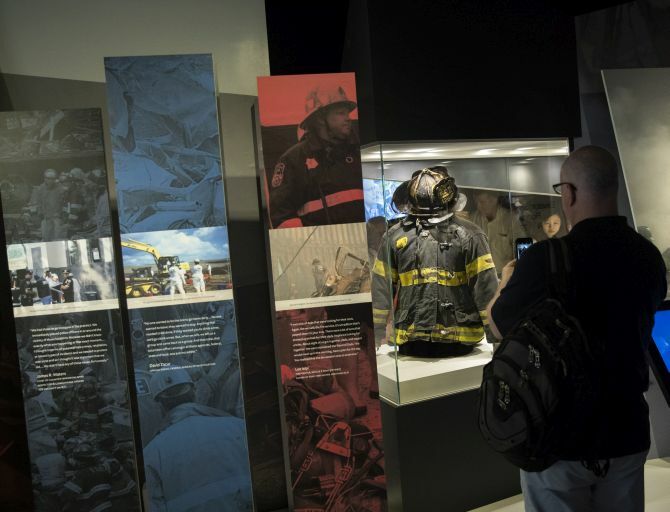 A visitor views a uniform of an official from the New York Fire Department worn on 9/11. 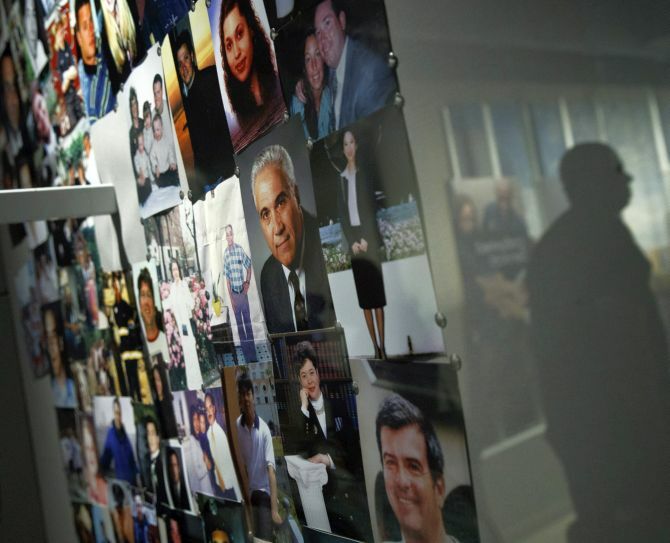 Just days shy of the 16th anniversary of the World Trade Center attacks, the FDNY unveiled the names of 32 more of its members added to a memorial wall for those who died of 9/11-related illnesses. The additional names will bring to 159 the number of FDNY personnel who died of illnesses from working at Ground Zero or otherwise assisting in the recovery effort. That’s just under half the 343 FDNY members killed when the twin towers collapsed. At the museum, visitors discover the tremendous spirit of resilience and service that arose after the attacks, and are encouraged to honour the legacy of that spirit through volunteerism and acts of kindness in their own communities. 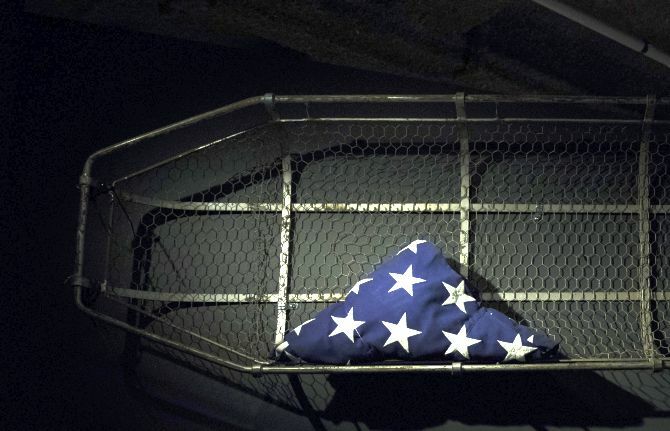 A flag used at the closing ceremony of Ground Zero and a traditional style FDNY basket used to carry out the remains of thousands who died on 9/11 is displayed at the Tribute Museum. 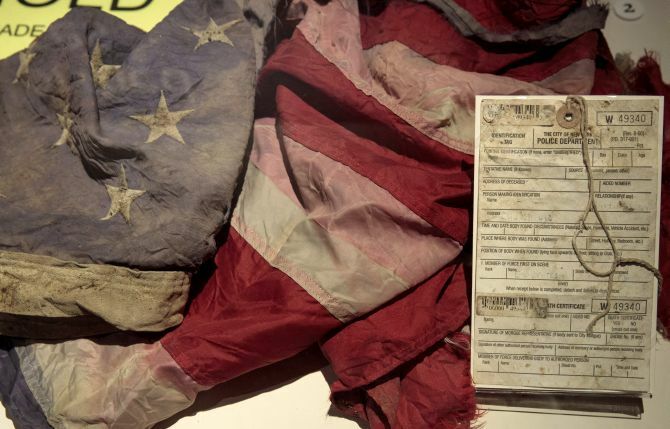 A New York City Police Department death certificate and an American flag recovered at Ground Zero displayed at the 9/11 Museum. It's a solemn moment for people who view the last pillar to stand at Ground Zero. 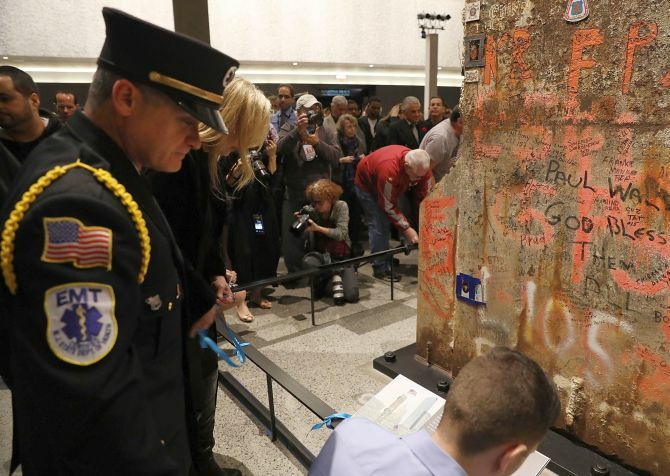 The three-storey beam of metal that stood in the foundation of the World Trade Center's South Tower became one of the most iconic artifacts from the September 11 terrorist attacks. The pillar is now is one of the most important artifacts. It's a symbol of strength and resilience. It's adorned with messages of hope and graffiti of remembrance.